In the video game industry, big publishers like to stick to strict marketing plans. Unlike, say, the film world, where directors and writers will frequently talk about their goals and future projects, video game companies typically won't discuss their plans until the PR schedule says it's okay. This can lead to some ridiculous situations. 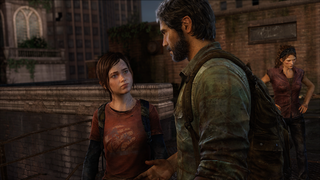 Take the case of The Last of Us, last year's critically-acclaimed PS3 game. Last night, in an interview on CNN Turkey's Multiplayer TV program, PlayStation Turkey VP Sercan Sulun said The Last of Us would be coming to PS4 this summer. Not unexpected, or particularly surprising. A cool little announcement, really—and surely something that could excite PS4 owners who haven't played Naughty Dog's fantastic game yet. There is no information about a new The Last of Us game but I can share this knowledge; as of this summer, The Last of Us will be on the PS4. Both on PSN and physically. The PS4 version will also include the DLC so you will be able to play 'Left Behind' as well. Cool! But wait! This morning, Sony Europe sent over a bizarre statement to Eurogamer: "At no time have we announced that The Last of Us is coming to PS4 and therefore, have nothing to say on the subject." 1) Sulun is incorrect, and The Last of Us is not coming to PS4, in which case Sony probably could have just said that. 2) Sulun slipped up, and announced The Last of Us for PS4 before the PR schedule dictated that it was okay, and Sony is trying to deny that by saying they haven't really announced it even though a Sony executive just did. Because video games. We reached out to Sony this morning for further comment, in hopes of getting them to say something straightforward. Wish us luck.